Inlanta Mortgage Partners - February 2014 - Inlanta Mortgage, Inc.
Inlanta Mortgage, Inc., ranked among the fastest-growing companies in the Milwaukee Area, has announced it has been granted approval with Freddie Mac. Chartered by Congress in 1970 and commonly known as Freddie Mac, the Federal Home Loan Mortgage Corporation (FHLMC) mission is to provide liquidity, stability and affordability to the U.S. housing market. Approved lenders, like Inlanta Mortgage, can help people get lower housing costs and better access to home financing. Why is Freddie Mac Agency Approval So Important? Freddie Mac agency approval means Inlanta can continue to broaden the products and services offered to consumers through its professional loan origination staff. This designation provides increased liquidity and stability in the rapidly changing mortgage origination market. “These agency approvals are much more difficult to obtain today, so it speaks to the confidence and quality of the Inlanta platform,” added Ms. Badciong. Inlanta Mortgage is a growing mortgage banking firm committed to quality mortgage lending, ethical operations and strong customer service. Over the past three years, Inlanta has more than doubled its revenue and nearly doubled its employee base. Headquartered in Brookfield, Wis., Inlanta Mortgage was established in 1993. The company has grown to 31 branches in 16 states and over 200 employees. The company is agency approved for Freddie Mac, Fannie Mae, FHA/VA, FHA 203K and USDA. Inlanta also offers numerous state bond agency programs as well as a full suite of jumbo and portfolio programs. Inlanta Mortgage was named a Top Workplace in 2012 by the Milwaukee Journal Sentinel, has been listed on Mortgage Technology’s Top 25 Tech Savvy Lenders List every year since 2010, Mortgage Executive Magazine’s Top 100 Mortgage Companies in America in 2011 and 2012, and the Scotsman Guide’s 2012 Top Mortgage Lenders List. Loan officers and branch managers interested in learning more about the Inlanta platform are encouraged to take a look at the opportunities that a branch partnership with Inlanta Mortgage could provide. For more information, email partners@inlanta.com or call 262-439-4260. 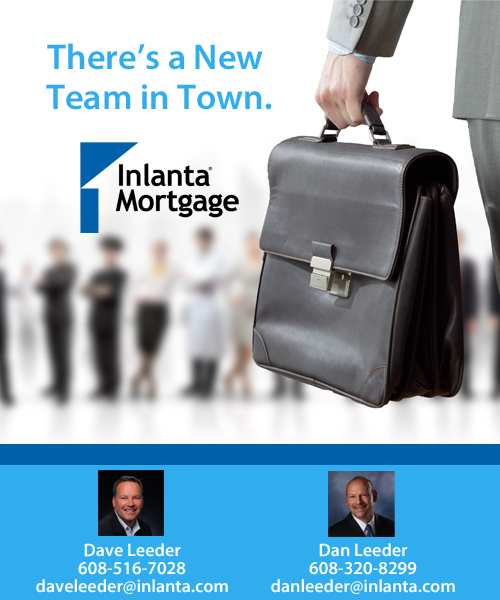 Loan officers and branch managers interested in learning more about the Inlanta Mortgage platform are encouraged to email partners@inlanta.com or call 262-439-4260.